Did you ever think that there must be something which you have never seen in life? Well yes there is something unique designed for your wardrobe.Its not only pure leather piece but its truly an elegant name for pure leather pieces its simple decent closure makes it distinctive from all traditional leather style jacket which all ladies are wearing since 80s or 90. 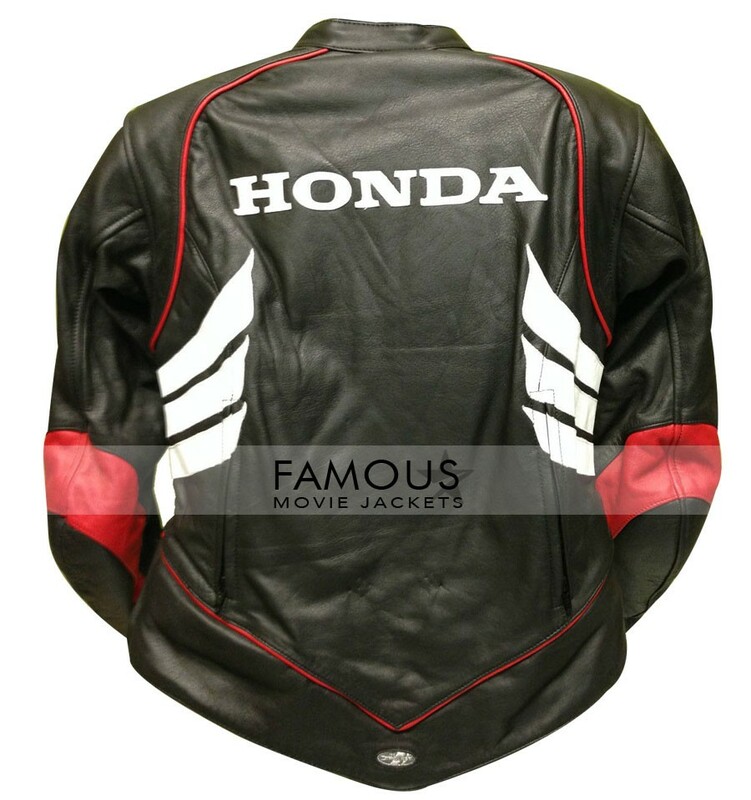 Honda CBR Joe Rocket Women Motorcycle Jackets is ever green fashion style but there is some changes which will surely diverts every guys attention towards you and no doubt you must be in search of something unique like this.You are at the right place famous movie jackets proudly presents this elegant Honda CBR Joe Rocket Women Motorcycle Jacket leather piece in affordable price for you.This leather jacket has black shiny color with honda logo style, YKK zipper in front for closure and complete fitting with good stitching used..Do not waste your time order it ! This Honda CBR Women jacket has no doubt attractive style among all with perfect collar but the quality is just satisfactory.I was expecting much better.